OMAHA, NE. May 11, 2017 – The impact tourism has on Omaha’s economy is big, but how big? In recognition of National Travel and Tourism Week, May 7-13th, Visit Omaha has created a series of videos that showcase stories about how tourism impacts Omahans, told by local residents themselves. 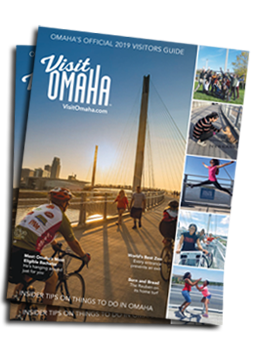 “When you hear stories from local people on how tourism impacts them, you get a real feel for what tourism looks like in Omaha, and how it impacts every one of us,” said Keith Backsen, executive director for Visit Omaha. Visit Omaha’s new web page features stories from people such as Christi Woods, the general manager of Pretty in Patina, a boutique in the Old Market Entertainment District. Woods says 80% of her business comes from out-of-town visitors and explains how her local customers reap the rewards. Other stories are from Nick Strawhecker, chef/owner of Dante Ristorante Pizzeria, Jim Skradski, owner of Oh-K Fast Print, Steve Hilton, general manager of the new Capitol District Marriott, and Katie Scherer, an Omaha mom. According to independent research, 11.9 million people visit Omaha annually, and those visitors spend $1.1 billion at Omaha restaurants, attractions, hotels, and retail shops. That visitor spending in turn generates $250 million in local and state tax revenue every year. Tourism also supports 16,700 jobs in Omaha. The videos can be found at www.WhatTourismLooksLike.com, a new web page dedicated to some of the stories behind Omaha’s big tourism numbers.